Have you finalized your car? Very good. So, it’s a Nexa car then. Awesome choice! 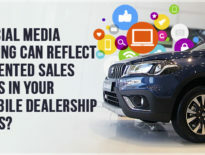 But do you know that there are certain things that auto dealers usually hide from their customers? Additionally, there some key features of a Nexa car that you must know before visiting any Nexa showroom. Maruti Suzuki Nexa cars are the top-brass from the automobile manufacturer Maruti. Mostly people goof up between these two brand identification. Buying a car is indeed a one milestone decision which encloses a chain of emotions. Amidst the whirl, people tend to forget a few things which lead to losing a substantial amount post-purchase. 6 Tips For The First Time Buyers Of Maruti Suzuki Nexa Cars To Get The Best Deal. Firstly, when you have made up your mind for purchasing a car of Nexa brand, it has to get purchased from an authorized showroom. This one decision gets you the best discounts and benefits on your choice of the car. Now let’s focus on how to crack a smarter purchase deal with the maximum buyer benefits. Know your car: Before you end up booking any Maruti Suzuki Nexa cars, you must put a torch on your requisites. A little research holds the water much longer. Just Google about it to get more and more information about the car that you choose. Apart from the specifications, the search will also return with the details of dealers and showrooms nearby with the best offer available. Know about the pre-finance options: Suppose you have finalized a car from an authorized Nexa car dealer, they will give you a choice multiple financing options. Here also, you need to go online and search the available car loan interest rates. Whenever you get a quote from any financial institution, get it in writing. Before getting into a deal put these papers in front of the dealer so that you could get the best leverage prior to the best negotiation. Negotiating terms: Buying a car is the second most crucial decision after a ‘home purchase’. But keep this in mind that purchasing a car is not an investment which would return a profit on its sale. When you are investing in a car it means you are blocking that amount of money for the next 4-5 years. Alongside, you also want that car to give you the best possible service. Salespeople will give their quotes. Always negotiate to bring the purchase amount down. It will help you in your loan repayment cycle. Suppose, the salesperson gives you an offer which has a monthly payment of a certain amount based on a 60-month tenure; tell them you want the same payment for 48 months’ period. So, prepare your negotiation strategy according to that. Consider both the new and used cars: So, you want to buy a Nexa car, have you checked the used one too? The significance of saying is a used car can (good condition) also serve the same purpose and save your money in amalgam. So, why don’t you give it a thought? We mean the used Maruti Suzuki Nexa cars. Buying used cars is a pretty much realistic decision. Before you take away a new Nexa car from any Nexa showroom, looking at the used cars is definitely a wise pick. The Test Drive: Always ask for a test drive. Don’t ever believe on the said words. Take a few rounds, check out the acceleration, brake gripping, parking ease, and the AC speed. Take a friend or relative along who has a sound knowledge in the automobile segment. He/she is the fittest person to give you the best comparison value. Make sure he/she helps you in collating your needs and budget alongside the car valuation. Avoid being impulsive: We understand buying a vehicle gives a good jerk to your emotions. Here you need to restrain a bit. All we are recommending is have a little bit control over your emotions. Don’t commence impulsive purchase. After you purchase a car, there is no point of rubbing your head. Salespeople will push for the add-ons, don’t fall in such traps. Else, it will burn a bigger hole in your pocket. Take the best foot forward while purchasing a car. Many things can happen with a little ignorance. The car might not meet the expectation performance-wise. The features might not be the best suitable ones. Do a bit groundwork, search on the net, review the car insurance and the financing. This way you can not only be a smart car buyer but also the car will fulfil many years of drive successfully. 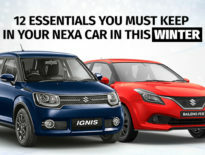 To buy Nexa cars in Ranchi visit the only an authorized dealer. Click here to book a test drive.